We were established in 1995 with a commitment to giving quality, cost-effective advice to people in our local community and beyond. Although we have come a long way in the last 20 years, our commitment remains the same. We are based in heart of Ealing, which spans both the inner city and the outer suburbs of London. Ealing sits at the heart of West London, between Heathrow (the world’s busiest airport) and central London, making it easily accessible. There are already excellent transport links via road and rail. Soon, Ealing will have five new crossrail stations, further strengthening the transport network and making it more accessible to and from central London. 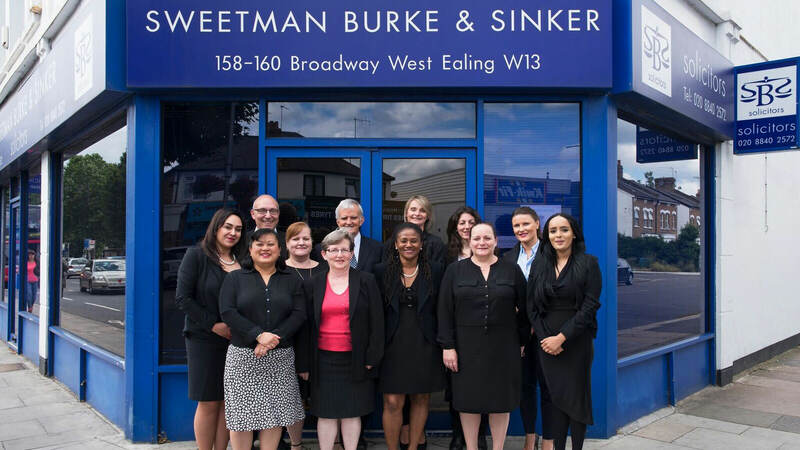 At Sweetman Burke & Sinker Solicitors, we are committed to providing the best possible service to our clients. Our reputation is based on sharp legal skills, pragmatism, client care and a results-driven approach. We offer a quality service to all clients, whether you are calling about a general enquiry or need complex legal advice. Our client base speaks for itself. We have acted on behalf of generations of families. The majority of our workload comes from recommendations made by satisfied clients, with whom we have built strong relationships throughout our long-running history. We provide a wide range of services for clients from all walks of life. Whether you are a large business or individual, you will always receive service that is second to none. A strict policy, honed over years of experience, helps ensure the best possible outcome for our clients. Each one is important to us and deserves the time and dedication it takes to ensure the best possible outcome, regardless of the case. We pride ourselves on the work that we do and understand that personal, professional service is important. We provide a wide and varied range of legal services to our clients. With over 20 years of successful legal practice behind us, we’re confident that we have the expertise to help you.